It took Ernő Rubik one whole month to learn how to solve his first Rubik’s cube, but don't worry, we'll help you to get your Rubik’s Cube solved in no time at all! A basic understanding of the Rubik's cube that will set you up nicely for the rest of the video guides. This stuff is really important, so listen up. We teach you the first step – creating a white cross on the white face of the cube. Once you can do this, there’s no stopping you, so pay attention. If you've made it this far, give yourself a pat on the back! This video teaches the next step – solving the white corners. There is a knack to it, but keep your cool - we take it one step at a time. Well done! You’re halfway there. The next stage of the solution is solving the middle layer. Take a deep breath, you’re doing really well. 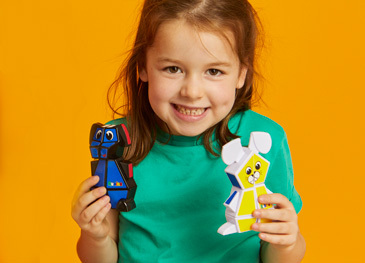 Now we teach you the next step – solving the yellow face. Not long to go now, hang in there! 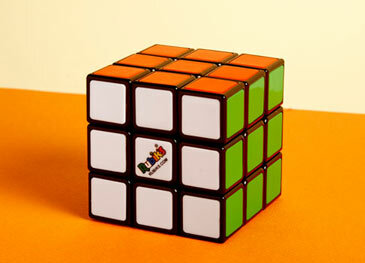 Our written solution guides provides a step-by-step tutorial on how to solve to Rubik's cube. Download on our PDF guide on how to solve to Rubik's cube. It's a great achievement to solve a Rubik’s Cube, so give yourself a round of applause! You did it, well done!